Representative Mac Thornberry Meets with IAVA Leaders in Washington D.C.
Washington, DC (June 11, 2018) – Last week, Iraq and Afghanistan Veterans of America (IAVA), the leading voice of the Post-9/11 generation of veterans, testified on legislation to initiate support for injuries from burn pits and other toxic exposures, and continued to advocate for its Big 6 priorities during its quarterly Storm the Hill. 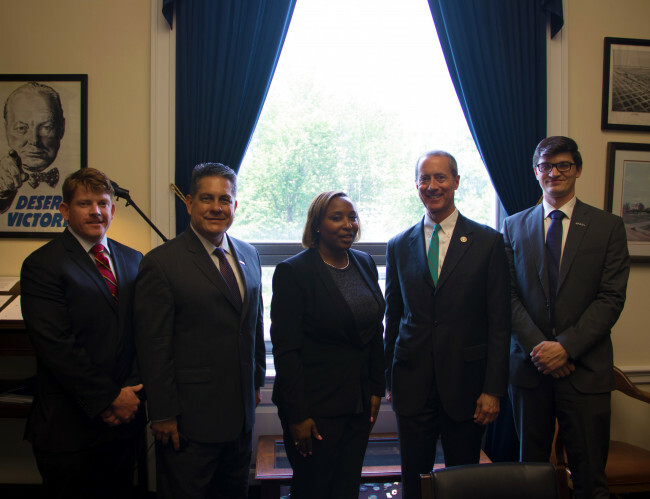 Earlier last week, IAVA members and leadership met with House Armed Services Committee Chairman, Representative Thornberry (R-TX), to discuss the growing movement. IAVA members attending the meeting reflect a wide range of diversity and come from across the country. Attendees included Tom Porter, Travis Horr, Estelle Stewart, and Will Sheehan.